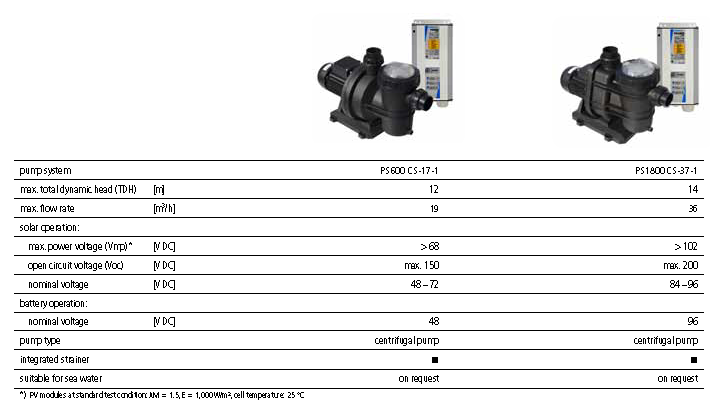 LORENTZ PS Swimming Pool Pumps are high quality products designed for use in residential and commercial swimming pools and spas. 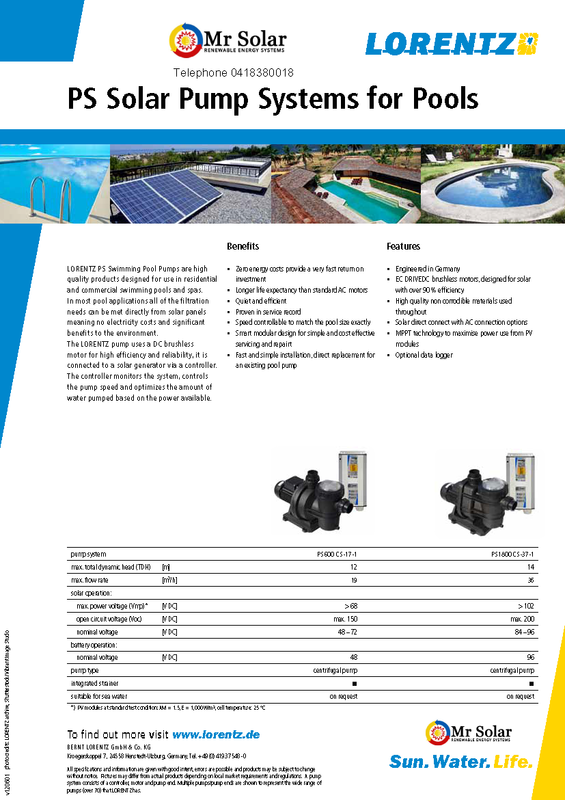 In most pool applications all of the filtration needs can be met directly from solar panels meaning no electricity costs and significant benefits to the environment. The LORENTZ pump uses a DC brushless motor for high efficiency and reliability, it is connected to a solar generator via a controller. The controller monitors the system, controls the pump speed and optimizes the amount of water pumped based on the power available.